Mom Egg Review wants your best poetry, fiction, creative prose and art for its thirteenth annual issue. This is a general (non-themed) issue; plus it will contain a special themed folio for poetry, “Compassionate Action,” curated by Contributing Editor Jennifer Jean. The guidelines can be viewed here. Please read them carefully before submitting, as they change from year to year. 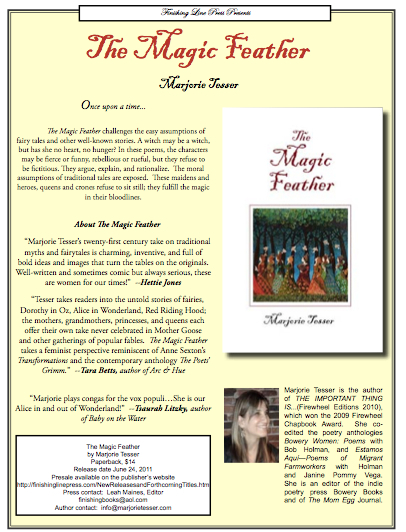 Please share this info with other wonderful writers and artists. (You can click the buttons at the bottom of this email to forward the email or post on Twitter or Facebook). Thanks! We look forward to reading your work. Special One Day Writing Workshop / Women Find Your Voice! 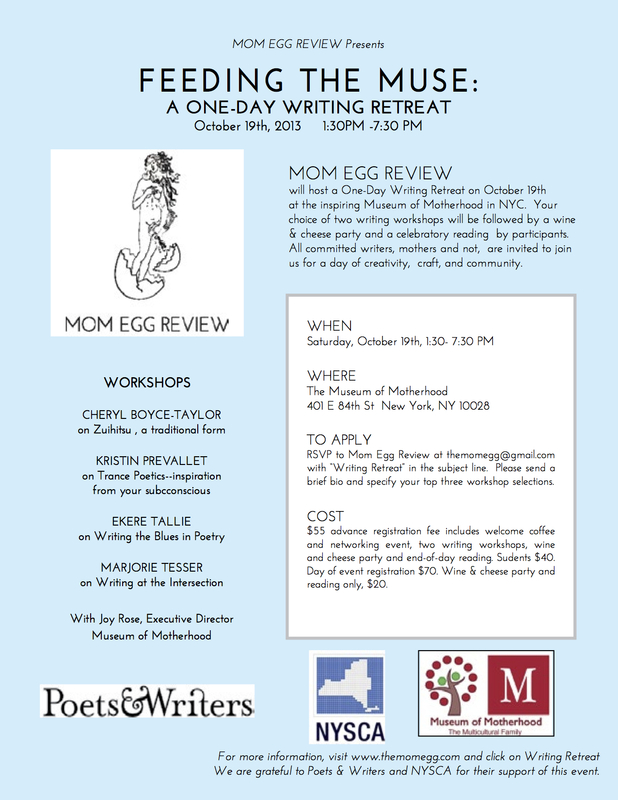 The Mom Egg is a literary, poetic and visual journal founded by Mamapalooza and now operated by Marjorie Tesser. It’s a wonderful tribute to the creativity that lives and thrives in the hearts, minds and hands of mothers…. Please check it out. A Downloadable version is up online now. Mamapalooza, Inc., Joy Rose, Media Mom™ and Team focus on Women-Empowered, Mom-Branded, Entertainment, Education, Business & Activism. Mamapalooza is a steady supplier of varied and exciting programs that have led to innovative activities positively impacting families, amplifying the voices of women and revolutionizing marketing to moms, respecting them as trend setters and women of influence. 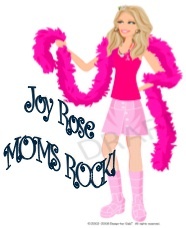 This is where we highlight MamaFEATURES.com Moms Rock! A mom-owned and operated multimedia organization, Mamapalooza has successfully pioneered a new culture of mama-artistry and empowerment. Events, media, print, workshops, festivals, publications, CDs, membership, and blogs connect and entertain through grass-roots programs that support (m)others and more while creating ongoing platforms for women that elevate and inspire. Mamapalooza’s ongoing mission is to create authentic large-scale experiences that put feminist family values front and center.